The Faculty of Fine Arts mourns the passing of an inspirational teacher, invaluable colleague and dear friend: School of Music professor Eugene Dowling. Following a 2013 diagnosis of prostate cancer, Dowling passed away at his home on June 30 with his family and close friends at hand. 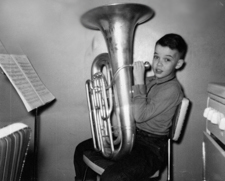 Raised as a Michigan farmboy, he intitially took up the tuba at the prodding of his sixth grade school band teacher—but Dowling’s professional career really began in Chicago, where he was a student of the legendary pedagogue Arnold Jacobs, tubist with the Chicago Symphony Orchestra. He joined the School of Music faculty in 1976, where he taught low brass and aural skills, conducted the Wind Symphony (in 2010 and 2013-14) and made significant contributions as both the School’s graduate advisor and Music Education advisor. “Over the decades, Gene maintained a strong studio in tuba and euphonium and taught an impressive range of courses, including musicianship, music appreciation, theory and Symphonic Winds,” notes Lewis. But in addition to his teaching duties, Dowling was also a very active performer: for 25 of his 39 years at UVic, he was Principal Tubist with the Victoria Symphony, as well as an internationally known soloist. 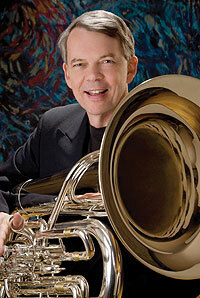 He was also nominated for a Juno Award for his first recording, The English Tuba (Fanfare/Pro Arte), featuring Ralph Vaughan Williams’s “Tuba Concerto” with the London Symphony Orchestra, which received favourable reviews and radio play throughout North America and was recently re-released. A recent CD features Dowling performing with Stephen Brown and the Bastion Band, and he even played in bands for the surprising likes of Sarah Mclachlan and the Moody Blues. 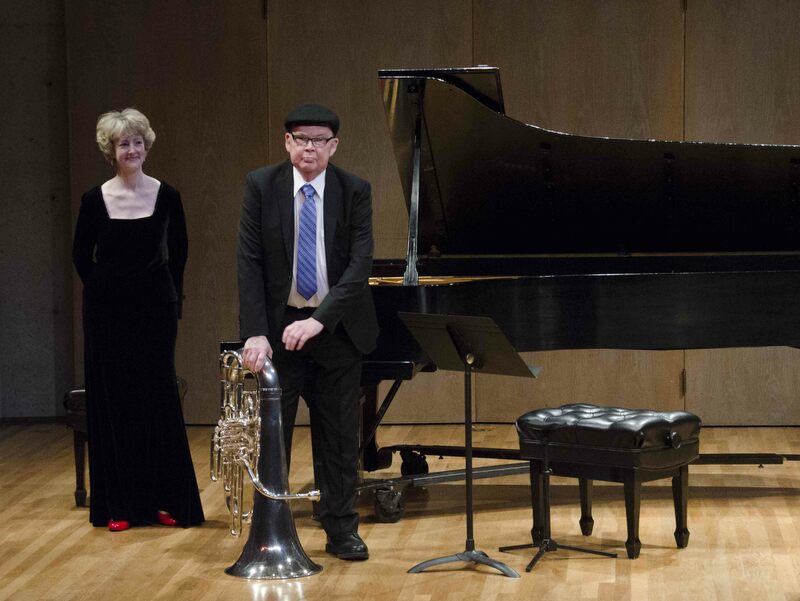 “His recitals, always featuring a wide spectrum of music, were a joy to attend,” says Krebs. In this Times Colonist memorial of his life and legacy, fellow trombonist and School of Music instructor Scott MacInnes credits Dowling with helping him get hired at UVic a decade ago . . . at the tender age of 24. 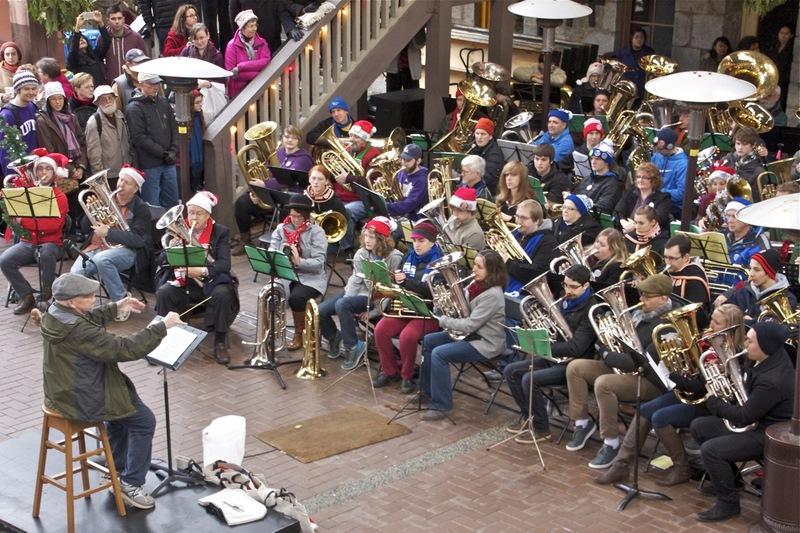 “If he saw someone who he thought had a love of music, teaching ability or ability to play, he definitely went out of his way to make sure they had every opportunity possible,” recalled MacInnes, who played with Dowling in the Pinnacle Brass Quintet. But if there’s a natural successor to Dowling’s legacy, it’s his former student and Faculty of Fine Arts Distinguished Alumni Paul Beauchesne. Beauchesne succeeded Dowling as principal tubist with the Victoria Symphony, will continue to organize Tuba Christmas and will now be teaching at the School of Music this fall. “He was really dedicated to sharing his musical gifts with people around him,” Beauchesne told the Times Colonist. 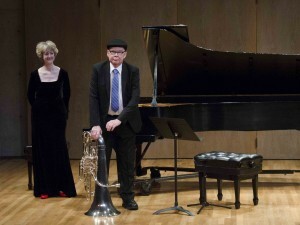 Always concerned with the future and well-being of students, Dowling recently established a scholarship for the benefit of low brass students at the School of Music. True to form, he even appeared at a concert supporting the Eugene Dowling Scholarship—just two days before his death, despite having to travel to and from the concert by ambulance. A donation to this scholarship would be an appropriate way for anyone to remember him. A public memorial for Eugene Dowling is planned for 1pm Saturday, September 26, at St. John the Divine, 1611 Quadra St. All are welcome.